Earlier in the week I was a guest blogger over at The English Muse while Tina takes some time away. Though I normally don't post on the weekends, I thought I'd share it here just in case you missed it! Enjoy! So, let's get started with a little inspiration! Where do you find yours? For me it's fashion and interior design. But above all, it's the collision of the two as they inspire one another and endlessly intertwine. The other day I overheard a conversation on how artists always wear black and interior designers always have all-white homes. 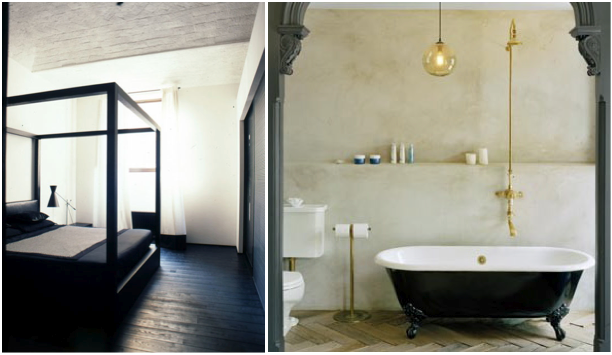 Those words stuck with me and inspired my current color obsession, black + white. A timeless palette, the two together will never go out of style and always make a strong impression in a home or with an outfit. In a world full of ambiguity and grey, there's something empowering about surrounding yourself with the confident contrast of these two. How about you? Do you do black + white? PS. If you'd like one of those "Everyday I Love You" decor pieces of your own, you can find it right here. oh yes black and white is one of my favorites. i really like some of the interiors you assembled here. Crystal - you have a great eye! All that black and white is simply gorgeous. Have a good weekend! Wow! Everything is gorgeous! I adore all of the black and white! I can't even pick a favorite thing! 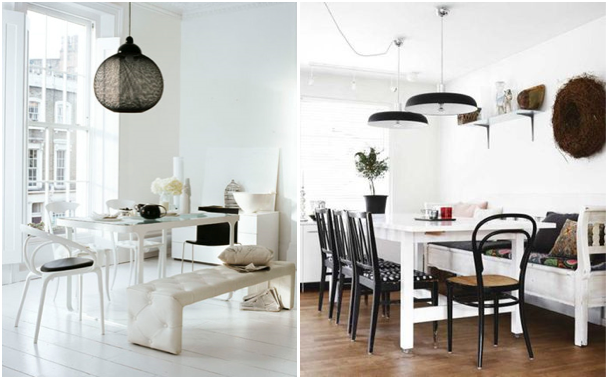 I really love the black and white combination! 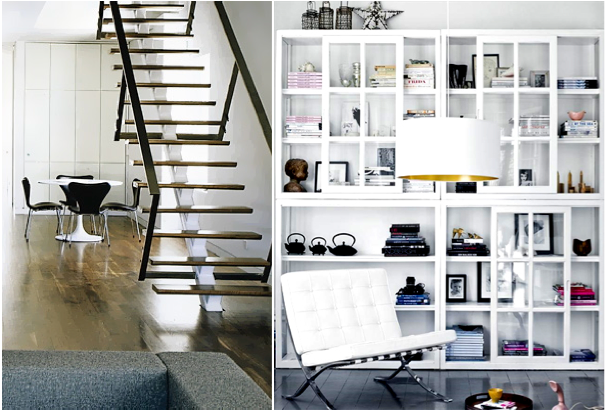 I think its great how you mix fashion with interior design, love your blog! You know, I am VERY monochrome with my wardrobe, but I understand having a splash of color every once in a while. 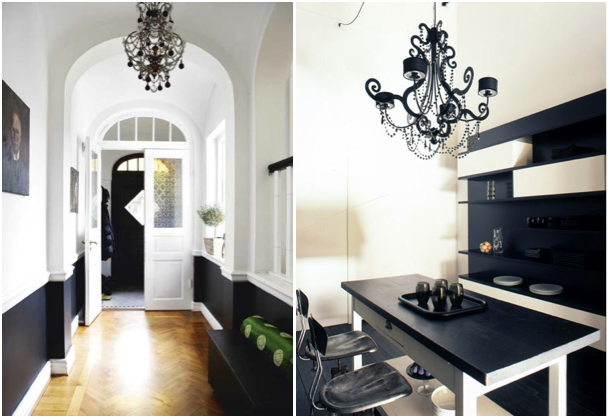 I would love to have my home be all black and white, those Chandeliers are incredible! I will be doing my research to find those! I love the subtle statement this combination can make when styled well together. 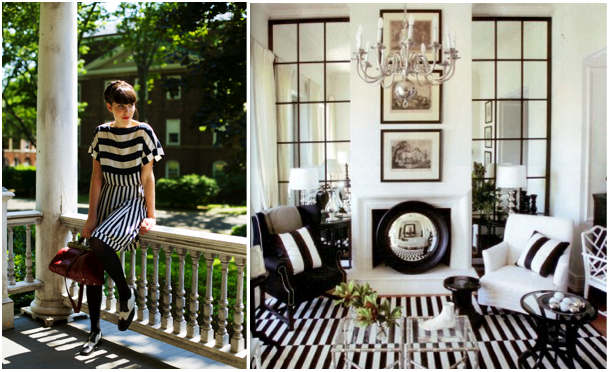 lately, I am really loving black and white stripes!